Great gifts for all the special people in your life. glossy card stock, and features 12 paintings done in Alcohol Ink by Sandy. It's sure to lift spirits and enliven any area. It's also a unique stocking-stuffer, sure to be appreciated by all the color lovers on your holiday list! 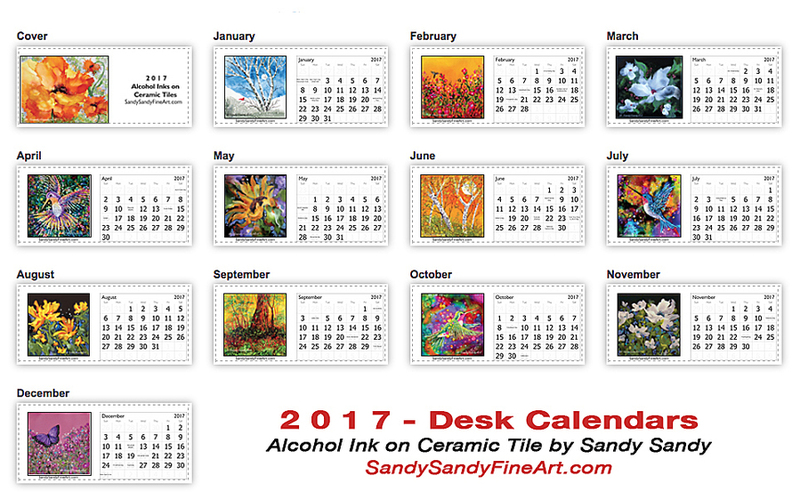 so purchase one or more Colorful Alcohol Inks on Tile 2017 Desk Calendars today! Order Now at the special Pre-Release Price! Desk calendars will be available for pick-up or shipping, the first week of December. See Colorful Wall Calendar here.